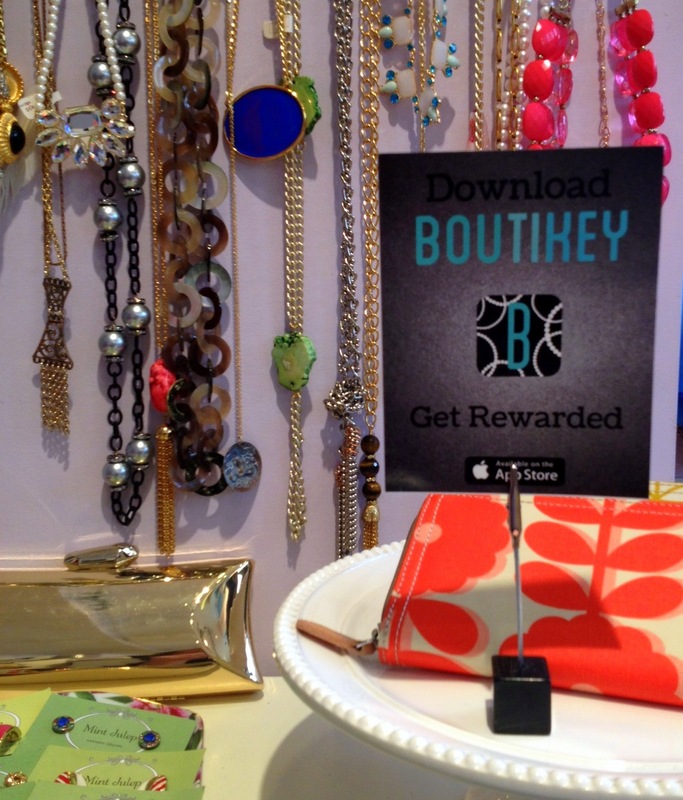 Launching in Boston just last month, Boutikey is a new app that is enhancing the boutique shopping experience across the city. Not only does Boutikey display what's new and trending at local shops, it also lets you earn rewards for every dollar spent at your favorite boutiques, making it a total game changer! Just think of it as LevelUp for the clothes horse. I recently met up with Boutikey's Susan Trinh at Mint Julep to take the app for a spin, and I couldn't have been more pleased. In addition to Mint Julep, nearly all of my favorite local shops have signed on to be a part of Boutikey. I'm now following the likes of Crush, 40 Winks, Flock and Ku De Ta, to name just a few, and can view a live feed from these boutiques in one tab. Other tabs display special offers and items that are trending, while shop-happy tourists and locals alike will love the GPS integration, which lets you view the nearest shopping hot spots based on your location. But, as I mentioned, it's the ability to earn rewards that makes Boutikey so indispensable. Here's how it works: Go to the profile of a boutique, click on "Earn Rewards," and hand your phone to the cashier. The boutique employee will enter the amount you spent, along with a top-secret code to prevent cheating, and you earn points. Simple as that! You can later redeem your points for rewards at the same boutique where you earned them. At Bobbles and Lace, you'll get a free pair of earrings when you spend $100. For Sail Loft, it's $100 off your next purchase when you spend $250. Now go get your local shop on, and earn yourself some well-deserved rewards! For now, Boutikey is only available for the iPhone in Boston, but keep an eye out for debuts in other cities and an Android version soon. You can learn more about Boutikey here, and click here to download it from the App Store. OH MAN! that is awesome!!! There's kind of something similar in NY, but it's definitely not focused on boutiques shops, more restaurants and bodegas...would LOVE this in NY. Wicked cool! I definitely need to download this app ASAP! I walked by Sail Loft the other day (it was too early and they were closed) and I wanted EVERYTHING. I was there yesterday, and everything was 50% off! Hopefully it's still going on. This is so cool!! I am going to download this right now and check it out! Thanks for sharing! So glad you like it. It's a pretty awesome app!